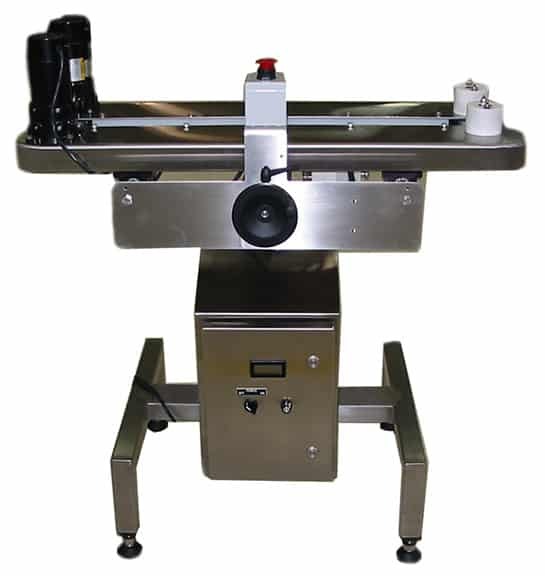 Volumetric Technologies designs and manufactures the highest quality Food Grade Conveyors and equipment in the industry to meet a wide variety of needs. Precision made and built to last, our Food Conveyor Equipment combines innovative features customized for a perfect fit every time. 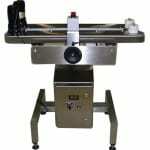 Why choose Volumetric Technologies for your application that requires a Food Grade Conveyor? Our conveyors come in unlimited configurations to fit a variety of needs. 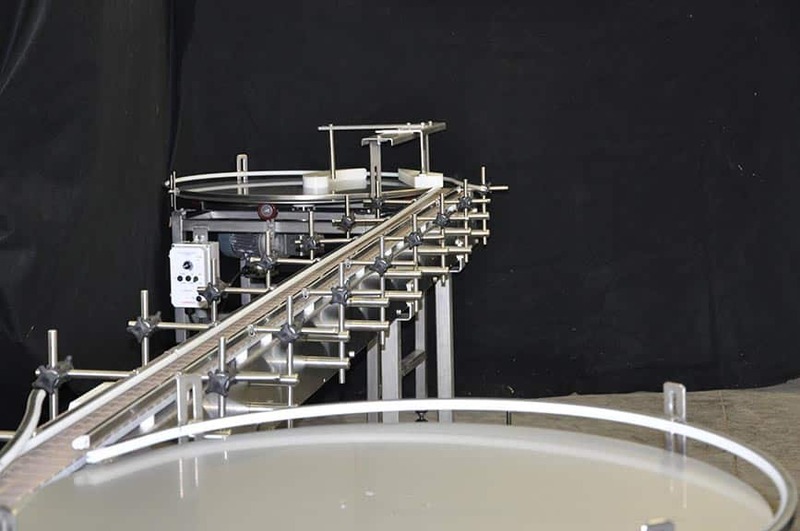 Reliable and durable, our conveyors offer innovative features and the option of customization. Trust the industry experts at Volumetric Technologies for your Food Grade Conveyors application. We have the experienced and agility to design and manufacture a solution that fits your need. That’s why we are a world wide leader in filling and production line equipment. Volumetric Technologies’ durable Table Top Conveyors are built with USDA approved materials. 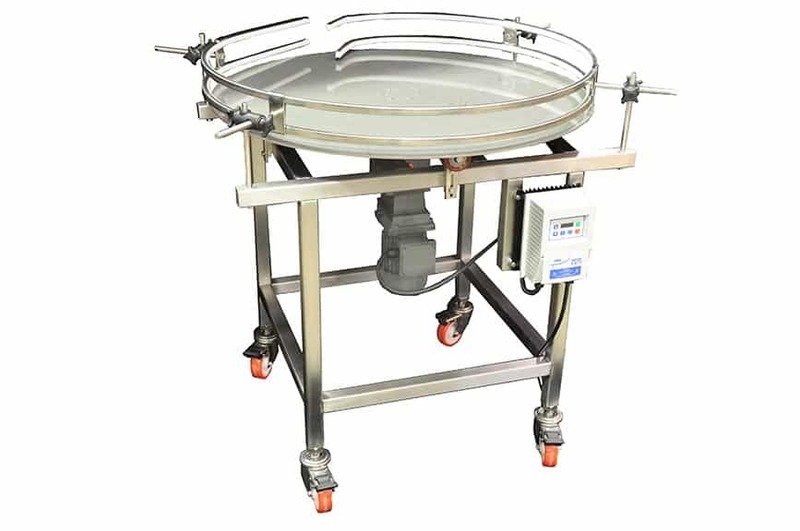 These stainless steel Food Grade Conveyors are available in standard open top, closed top, and hygienic designs. 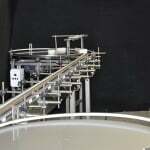 Our conveyors are easy to clean and intuitively designed with optional features to fit a variety of needs. Constructed of aluminum or stainless steel, our durable Gap Transfer Conveyors are Food Grade Conveyors that transfer your filled or empty containers from one standard conveyor to another. Fixed or adjustable heights, our Gap Transfer Conveyors work at variable speeds. The Volumetric Technologies Rotary Unscrambling Table is engineered to unscramble bottles, jars, cans or containers of any material. 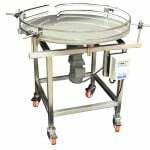 Precision made and built to last, our Rotary Tables and other Food Grade Conveyor Equipment combine innovative design features customized for a perfect fit every time.